This is one of Amy Lane’s sunshine and happiness stories, written in the same tone as the Candy Man series. Instead of candy, it is a tiny puppy that brings the sweetness to this book. Freckles is adopted by Carter, a brooding, pretty lawyer who genuinely wants to help people and is tired of his morally bankrupt boss. If this isn’t a sweet enough set up, Carter falls for Sandy, the eager but mature veterinary student who helps Carter learn to manage his new puppy. As a dog lover, this is a perfect read. My own two dogs are the heart of my family and I loved the complete lifestyle change Freckles causes for Carter. Carter’s hapless but well intentioned care for his little dog is wonderful. His relationship with his puppy is incredibly sweet and I loved it. So – cavity inducing sweetness. But as always with Amy Lane, there is a little bit of grit and a whole lot of truth layered over the fluff. On another level, this is about the courage needed to start over and the bravery required to take the frightening risks that will allow personal happiness. This is a frothy guilty pleasure. 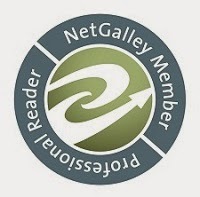 Simple and ultimately predictable, it is a gentle read about two perfectly matched men. There is very little angst or drama, but a few hard truths give this a little bit of depth. I have to admit that normally I don't like the super sweet lovey dovey books... but I will pick up ANY book by Amy Lane and I know that she does sometimes write on the sweeter side. This was one of those books. A workaholic ends up with a ball of fluff being shoved into his hands, said ball of fluff ends up leading him down a path he would have never taken otherwise and his life will never be the same because of that. And it's perfect that it's just what he needed, even if he didn't know it at the time. Sandy and Carter are two opposites, but not so opposite at the same time. They both dated someone not so different from the other and had it not work out; however, they didn't let that stop them from following what felt right for them and ended up finding something special. I love that Amy Lane includes the mundane things that make up the role of owning a puppy – like poop where you don't want it, having to take the dog outside first thing even if you need to go to the bathroom badly, or, my favorite, having the dog have an accident immediately after you bring it in from being outside – it is these little things that make her stories so realistic and adorable. Amy Lane has two kids in college and two in soccer, and an indulgent spouse. Together they exist happily in a crumbling suburban crapmansion, and equally happily with the surprisingly demanding voices who live in her head. She loves cats, movies, yarn, pretty colors, pretty men, shiny things, and Twu Wuv, and despises housecleaning, low-fat granola bars, and vainglorious prickweenies. Oh! And she’s been nominated for a couple of awards. She’s even won some. Swear. 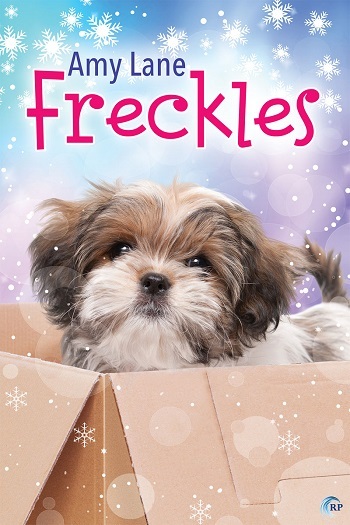 Reviewers on the Wicked Reads Review Team were provided a free copy of Freckles by Amy Lane to read and review.